Having up to date and accurate veterinarian information is essential for pet sitting and dog walking clients. That’s why we provide a complete vet management system inside of Time To Pet. 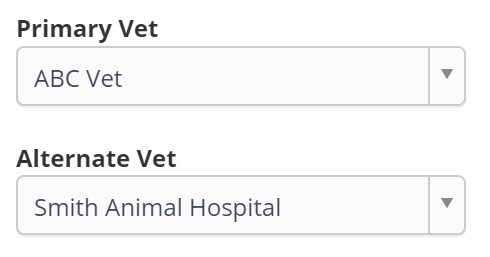 All local vets can be added by an admin and then your client can select the vets they use. This ensures that you have accurate information when needed. Because this information is entered by you - you can ensure that it is both accurate and complete. We recommend entering all of your local vets so clients can select their vet from your master list. 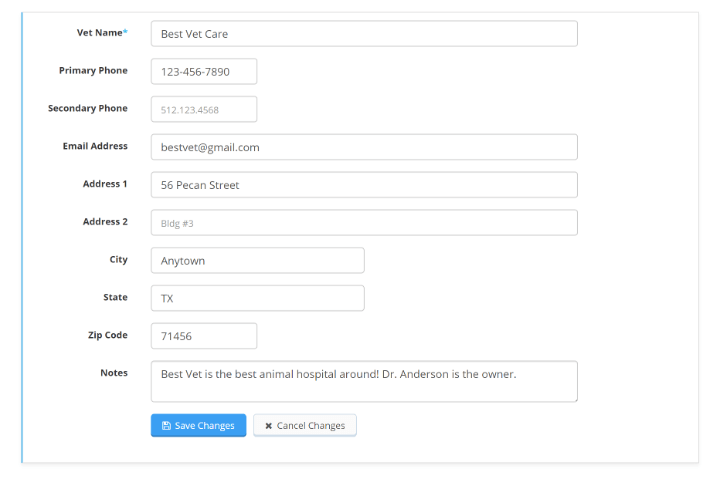 Clients can select a primary and secondary vet for each pet. If your client doesn’t have a secondary vet - they can also select an emergency vet that you have added to your master vet list.